195 Studios - Artists on Pemberton is a bustling community of artists and sculptors located at 195 Pemberton in North Vancouver. The goal of the artists of 195 Studios is to create, work, share and engage with the community. Many of the resident artists are teachers that offer individual or small group classes. 195 Studio artists open their studios to the community at various public events including the North Shore Art Crawl and Culture Days. Located in the heart of Deep Cove, Artemis is a street-level art gallery that promotes contemporary artists and designers. The space includes a working studio with adjustable furnishings equipped for exhibitions and classes with lots of natural light and display options. Available for workshops, meetings, receptions and private events. The Artists for Kids art collection is housed in the Gordon Smith Gallery of Canadian Art in North Vancouver. This purpose built facility features 4,000 square feet of exhibition space as well as studios for student programs. Artists For Kids provides a variety of art enrichment program opportunities for thousands of students of all ages each year including the popular Paradise Valley Summer School of Visual Art. The City Atrium Gallery was developed through a partnership between the North Vancouver Community Arts Council and the City of North Vancouver. Located in Municipal Hall, the City Atrium Gallery exhibitions focus on installation art, a form of three-dimensional sculptural work designed to intrigue, animate, inspire, and transform the perception of a space. CityScape Community ArtSpace is owned by the City of North Vancouver and managed and programmed by North Van Arts. All exhibitions are group based, themed and must have an interactive component to engage the broader community. Ideas for exhibitions come from the community and beyond and are adjudicated by a submissions committee. The District Foyer Gallery is part of the Art in the Community Programme facilitated by the North Vancouver Community Arts Council in partnership with the District of North Vancouver. The Art in the Community Programme is designed to enable emerging artists to gain exposure and experience the professional orchestration of an exhibition in a public environment. It further celebrates and promotes artists and exposes the public to art in non-traditional environments. This dedicated exhibition space is located at the entrance to the District Municipal Hall and it accommodates both 2D and 3D visual artwork in juried bi-monthly exhibitions. Art is programmed into the space through an “Open Call for Artists” bi-annually. Each new exhibition enjoys a Public Opening Reception, with the artists in attendance. 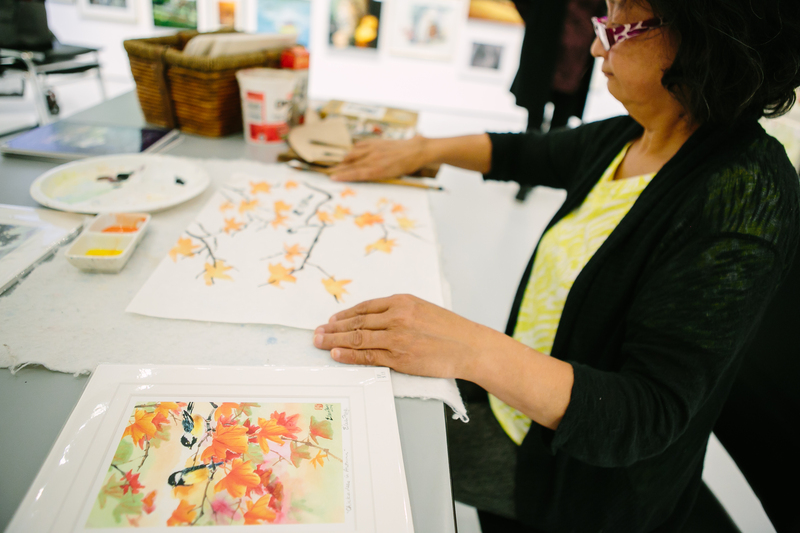 The District Library Gallery is part of the Art in the Community Programme facilitated by the North Vancouver Community Arts Council in partnership with the District Lynn Valley Main Library and the Friends of the Library. The Art in the Community Programme is designed to enable emerging artists to gain exposure and experience the professional orchestration of an exhibition in a public environment. It further celebrates and promotes artists and exposes the public to art in non-traditional environments. This dedicated exhibition space is located in the library at the top of the stairs on the second floor with a preview area on the main level by the fireplace lounge. The District Library Gallery accommodates 2D visual artwork in juried bi-monthly exhibitions. Art is programmed into the space through an “Open Call for Artists” bi-annually. Each new exhibition enjoys a Public Opening Reception hosted by the “Friends of the Library”with the artist in attendance. The Ferry Building Gallery is a public Community Gallery operated by West Vancouver Cultural Services, committed to art exhibits and displays which enliven, enrich, inform and educate the public by presenting a diversity of stimulating and high quality juried exhibits. The Gallery showcases the artwork of both emerging and established artists offering Opening Receptions and Artist Talks for each exhibition. Admission to the Gallery is free and the public is invited to attend all events. The North Shore Art Crawl is a free community arts festival which offers a great opportunity for the public to meet many diversely talented artists and view their work in both public galleries and working studios. The NSAC is coordinated by North Van Arts. The event takes place in early March and has become a key event in the cultural calendar of the North Shore. In 2017, the Polygon Gallery (formerly known as Presentation House Gallery) will move into a new purpose built facility on the North Vancouver waterfront. Over three decades, the gallery has presented more than 300 exhibitions of photographic art, earning a reputation as one of Canada’s most adventurous and highly respected public art galleries. Local and international artists have been featured at Presentation House Gallery – everyone from acclaimed Vancouver photographers Stan Douglas and Fred Herzog to world-renowned artists Ansel Adams and Andy Warhol. Located at 125 Garden Avenue in North Vancouver, Sandrine Pelissier's studio offers weekly life drawing classes as well as painting workshops. The studio is open for visits weekdays from 9am to 2:30pm and for special events such as Culture Days and the North Shore Art Crawl. The studio also offers collective art making workshops and organizes an annual life drawing exhibition displaying the works of life drawing class members. Established in 1985, the Seymour Art Gallery (SAG) is a public, non profit society that has a reputation for artistic excellence in its' gallery, educational and community programming. 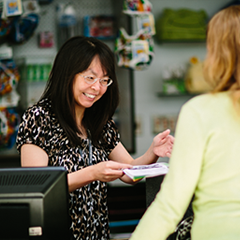 Located in the Deep Cove Cultural Centre, the gallery is a leader in community life in the Seymour/Deep Cove area and has established a strong foundation of support through its programming and outreach activities. The Seymour Art Gallery welcomes submissions from artists to be considered for upcoming exhibitions.